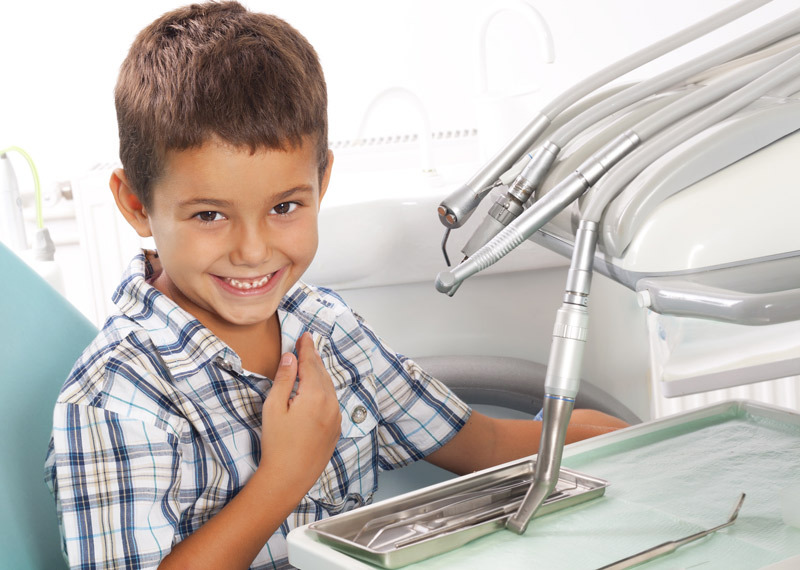 It's our goal to keep your kids comfortable when visiting the dentist. Most treatments for adults can be applied to children as well. Children often have no preconceptions of what a trip to the dentist means, so we make the visit as transparent and fun as possible. If your child is too young to be treated by Dr. Monson, we will refer him/her to a pedodontist for treatment. Fluoride treatments are routinely given to all children up to age 16 and may be beneficial for adults who are especially cavity prone. A one minute application of fluoride will enhance the protective effect of your regular toothpaste in preventing the development of cavities. Sealants are a protective coating that can be applied to the chewing surface of posterior (back) teeth. These teeth typically have deep grooves and pits that if left untreated are highly prone to decay, even with good hygiene habits at home. The procedure is simple and inexpensive and requires no removal of tooth structure or anesthetic. The tooth is thoroughly cleaned before the sealant is flowed onto the tooth surface and hardened under a bright light. This leaves a smooth, easily cleaned surface where the deep grooves were previously. What Can Dr. Monson Do For Your Smile? © 2016 Dr. Gary Monson. All Rights Reserved.